Ever been curious if anybody is currently looking at your website, watching your YouTube video, or on using your mobile app RIGHT NOW, but can’t be bothered to open up and sign into Google Analytics? I’ve recently launched this blog, my portfolio website and a few other projects, and like most that start up they are still gaining traction. I created this project because something about real-time data fascinates me. I love knowing that “somebody is reading this page right now. Somebody is looking at something that I’ve made right now”. 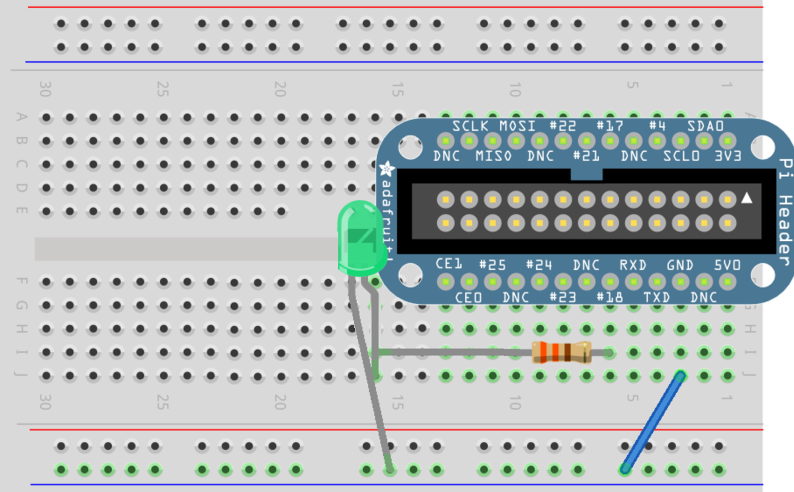 This post will go into how I accomplished this with a Raspberry Pi, a breadboard and an LED. You can find the code necessary in my Github repository. Use the diagram below as a reference to set up the hardware aspect of this project. Re-run AnybodyOn.py and visit your website/YouTube video/app after a few seconds of the program producing ‘Current active users = 0’. If all has gone to plan, the light should turn green a few seconds after visiting your media. Any issues, please report them here!